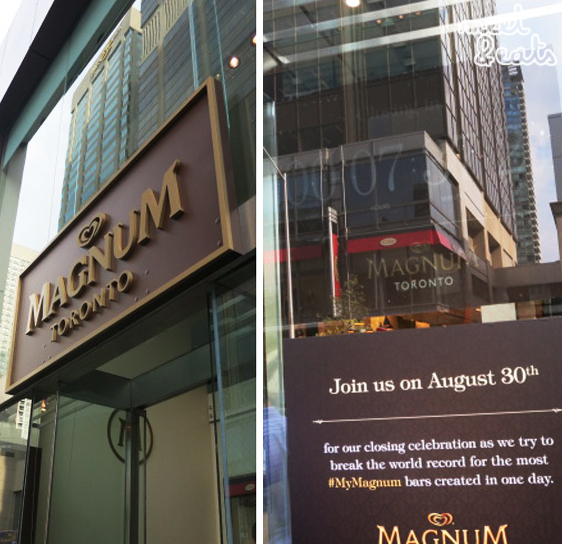 Seven hours to go until no more Magnum! 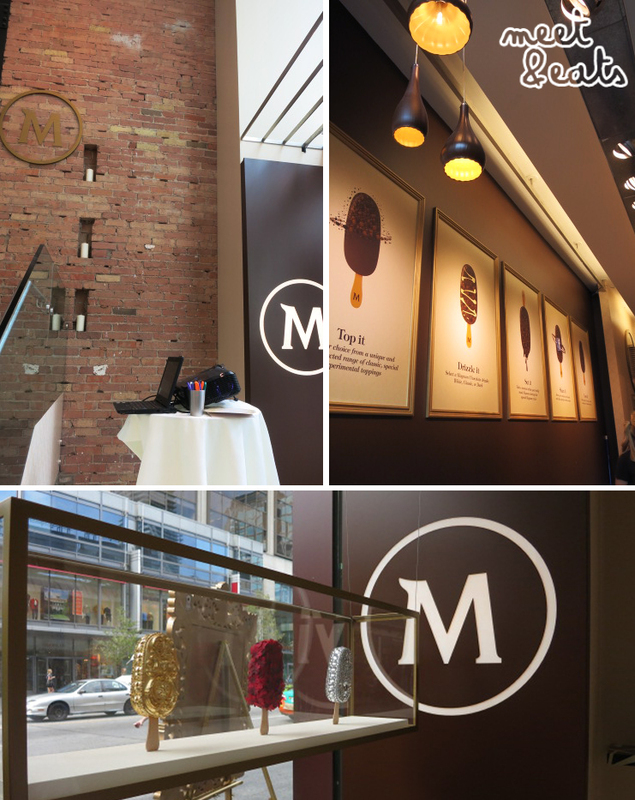 Placed along a strip at Bloor surrounded by luxury retailers such as Louis Vuitton, Rolex and Tiffany, there is the Magnum Pleasure store. Without a doubt, it fits in mighty well with the whole scene. 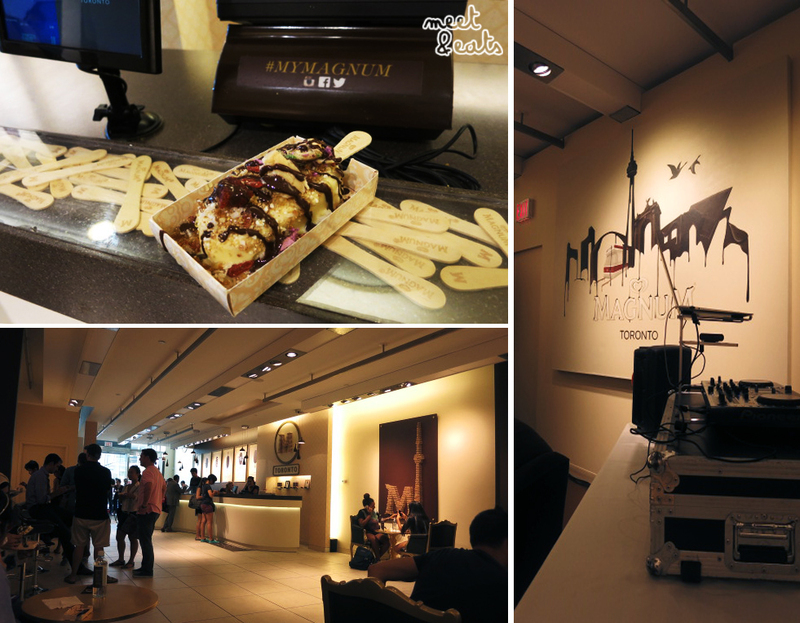 I heard of the Sydney Pop-Up Store and the many hours they would wait to receive their Magnum – I was a bit distant in going for Toronto’s, but, it was the last day and there was time to kill, so there wasn’t any wonder to it. 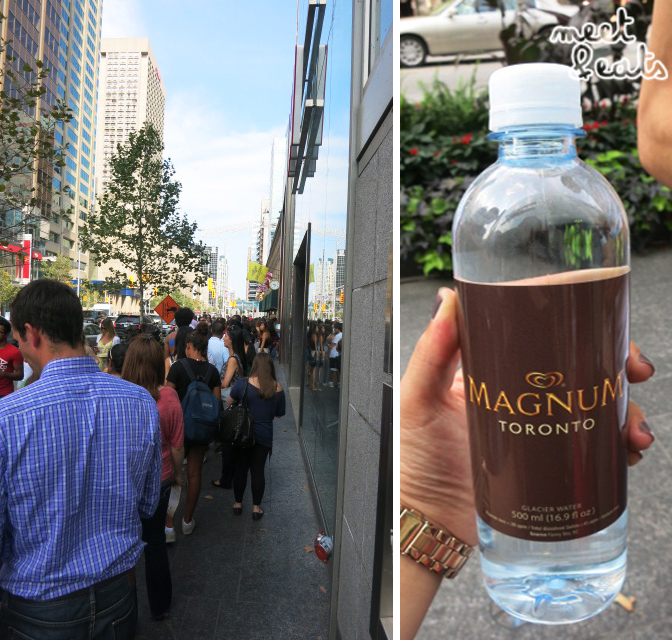 An hour wait, and we were catered to at the line with these free water bottles. 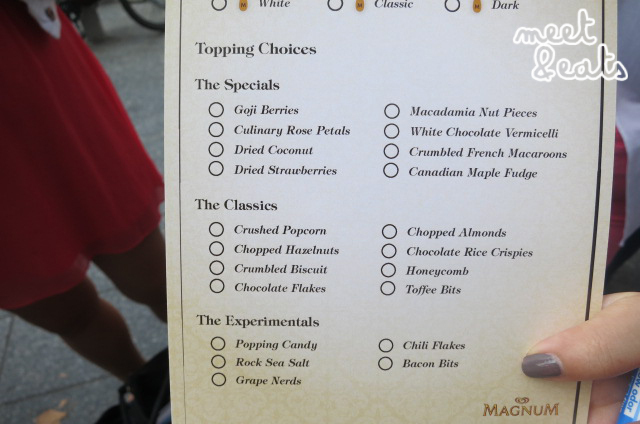 While in line, we were given menus to tick off. I was being a confused fella, switchin markers and all. 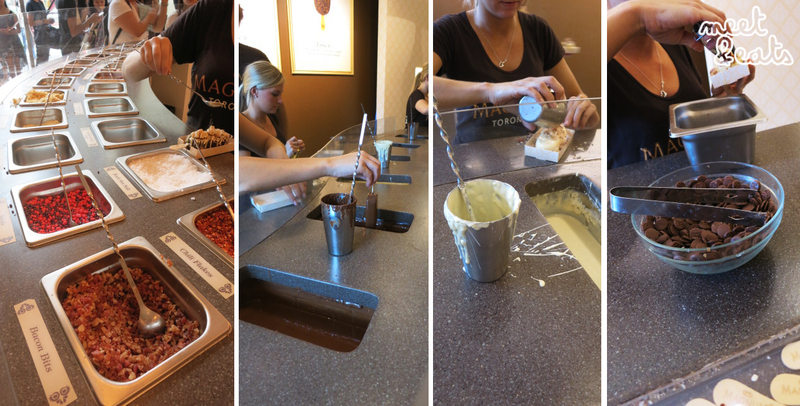 Of course, I had to go for the most bizzare options. The place was put together mighty well. 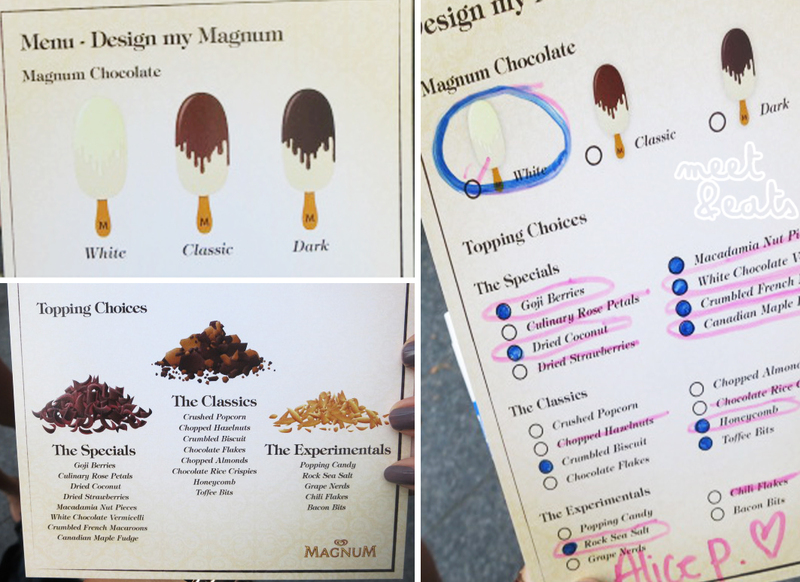 Choice of ice cream flavour, dip, drizzle, toppings then, topped off with a Magnum chocolate medallion. Six dollars later, I have my creation! We had ourselves seated next to the DJ, on comfy high bar stools. 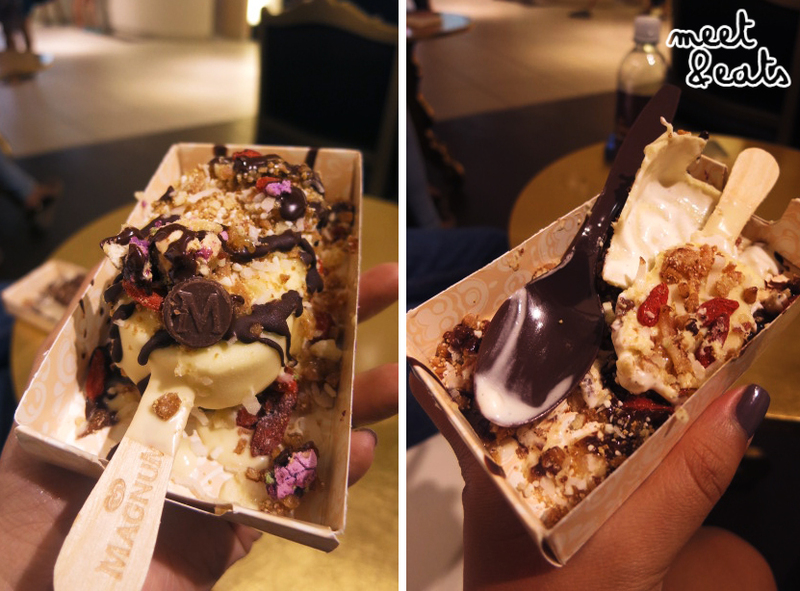 My White Chocolate and Dark Chocolate Drizzled Magnum. 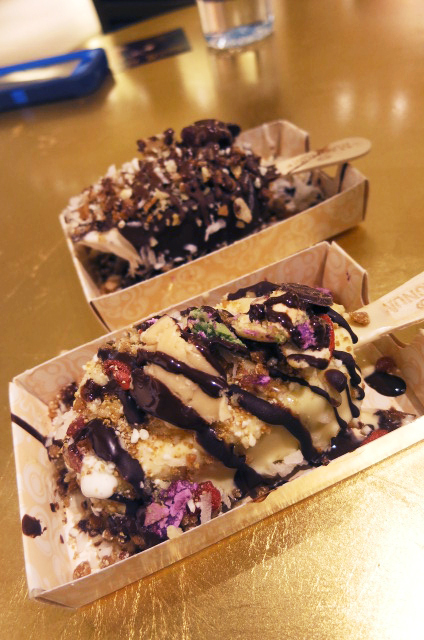 I (probably) had a bit too much going on, it was okay… I’d rather a good old Golden Gaytime though.